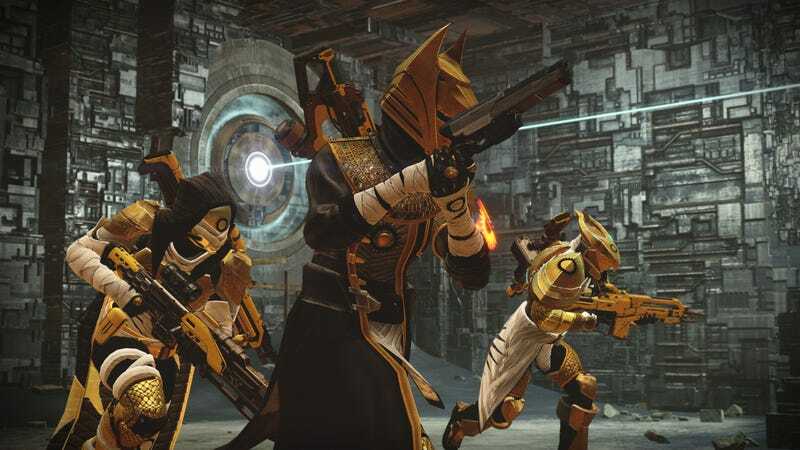 As someone who is a competitive multiplayer nut, I’m not too miffed about the lack of a raid in the upcoming Destiny expansion, House of Wolves. Today, Bungie revealed all the PvP changes and additions coming to Destiny, and they sound rad as hell. First off, let’s talk big picture changes. PVP as a whole is getting an overhaul. All Crucible modes will be more generous in their rewards: matches will now give out double the reputation and marks than they did before, making the entire thing less of a grind. The number of engrams that drop have also doubled, and there will now be more legendary weapons in the loot table. Playing matches in the featured list also rewards players more handsomely than before, so you have even more incentive to partake in them. Then there’s the new mode, Trials of Osiris. In order to play it, you need a) a full team to bring with you and b) a scorecard called Trials Passage, which you can purchase. Once you’re in, it’s a 3v3 elimination-style match—first team to kill the other team wins. There are no respawns, and you retain all your level advantages, so gear is important. You can also revive your teammates. Similarly to Hearthstone’s Arena mode, the more you win in Trials of Osiris, the better the rewards at the end. Different tiers, which are tied to win rates, award different rewards. Nine wins are the most you can aim for, though it’s very difficult to get that sort of streak going. One thing that is kind of a bummer about all of this is that PS4 and PS4 owners will get an extra map that Xbox owners don’t get. But at this point, the exclusivity practice is par for the course with Destiny. Everyone else will only get three Crucible maps. Still, I’m pretty excited about all these multiplayer changes coming with House of Wolves, which drops on May 19th—it’s the sort of high-stakes mode that rewards players who invest time in PVP. Normally, competitive multiplayer feels like it doesn’t get much love from Bungie, but I’m glad that’s changing with the new expansion.